To all, last entry for the 2016 trip to Spain. 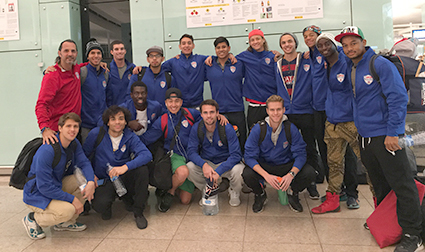 We arrived at Barcelona airport at approx. 3:30 am after our long bus transfer, relax as best we could and then depart for Frankfort at 6:55 am. Delays on the flight have us arriving in Frankfort at 9:40 and we actually have to run to another gate area and arrive just in time to close the door. I was actually the last one to make this flight, it was close. Flight to Dallas must have had a kids discount as our flight was loaded with kids, which is not a problem, unless the parents have no discipline, which of course some of them did not. Needless to say, not much sleeping on this flight and we are tired. Arrived in DFW around 2pm, and are pleasantly surprised at no lost luggage. Boys are all greeted by families and friends as we say goodbye to each other. Great trip and we really bonded and established a sincere team chemistry that will not soon be forgotten. I am really proud of these boys for these past few weeks as we not only played great but we represented ourselves with class, discipline, and pride. Lots of interest as well in their abilities and many will have future opportunities. 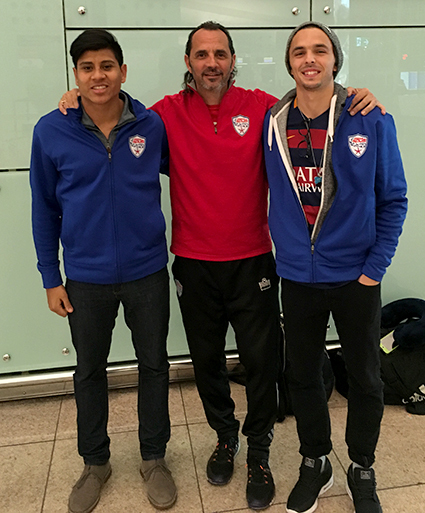 We actually left two behind as Eddie Puskarich and Kevin Machado flew to Manchester, England and will be training with Chesterfield FC for a few weeks. We wish them the best of luck. Thanks to all for the support and the prayers, most appreciated and best of luck to you and your families.